- UNC won both regular-season games this season. Of note, Zion Williamson was injured in the first minute of the game at Cameron Indoor Stadium. - UNC is 5-3 straight up (SU) against Duke over the last three seasons. - Duke is 1-4 SU and 1-4 against the spread (ATS) in its last five games against UNC. - The total has gone under in 11 of Duke's last 15 games. - Six of the last eight games in this series have gone under the total over the last three seasons. - The total has gone under in the last five Duke-UNC matchups. - Duke is 5-1 SU this season on a neutral court. - UNC is 2-2 SU on a neutral court this season. ​All Duke-UNC betting odds, lines and props available on FanDuel Sportsbook. 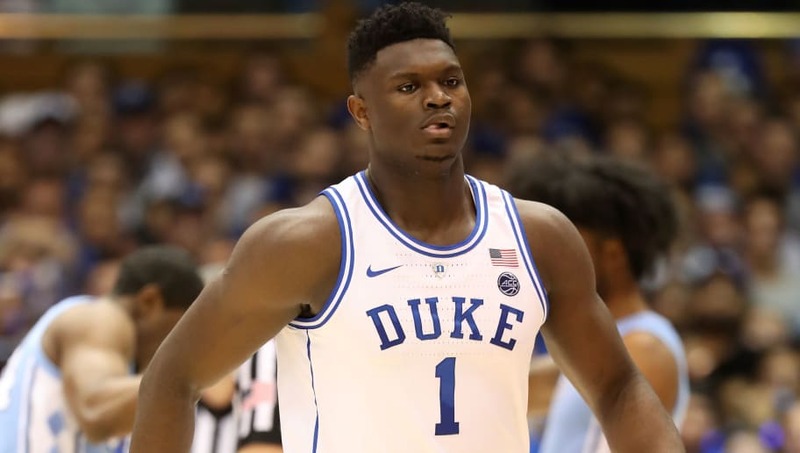 - Away Team (Duke) Total Points: Over 83.5 (-115) – Zion Williamson sure put on a show last night against Syracuse, putting up 29 points on 13-for-13 shooting from the field. Duke obviously advanced, scoring exactly 84 points on Jim Boeheim's infamous 2-3 zone defense. Given the Blue Devils scored 72 and 70 points in their two games against UNC this season, one would expect Williamson to be worth at least a 10-point boost. Duke also averages 84.1 points per game on the season.